In his third episode of the adrenaline-fueled action franchise, the skilled assassin John Wick (performed again by the great actor Keanu Reeves) are running away due to two important reasons: he is pursued by a global contract of 14 million dollars and by breaking a central rule: kill on the grounds of Hotel Continental. After murdering a member of the international assassination guild, The High Table, Wick is excommunicated, but the most ruthless hitmen in the world are waiting for his chance. 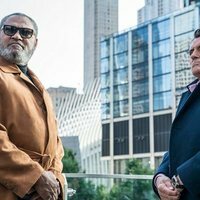 The protagonist will use the service industry to stay alive while fighting and killing his way with the intention of leaving New York. Now, this 14 millions of dollars are the value of his wanted head. 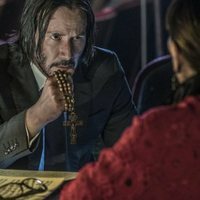 Keanu Reeves doesn´t want the franchise to be destroyed by the sequels, so John Wick's adventures will probably end in the third chapter. 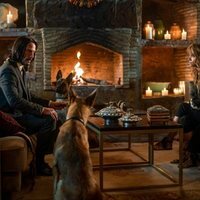 Chad Stahelski, director of all John wick's chapters, does not want a bigger movie in the third episode, but continues to expand the complexities of the character's world. The title "Parabellum" comes from a latin phrase ("Si vis pacem, para bellum") which means: "If you want peace, prepare for war".